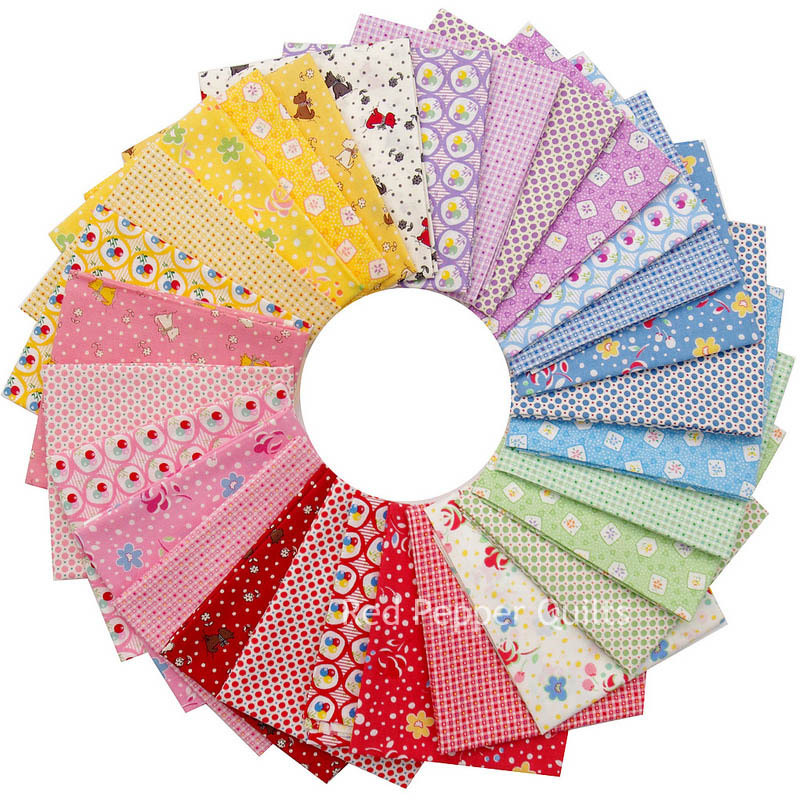 The latest Retro 30's Child Smile collection (Spring 2015) by Lecien has arrived in stores and has once again been welcomed as an addition to my fabric stash. 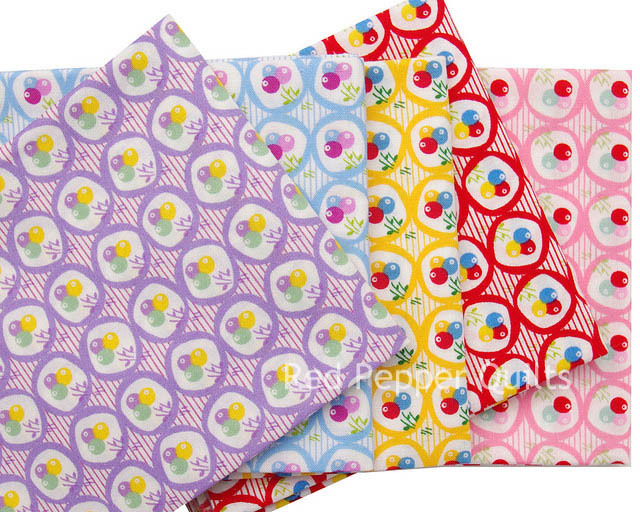 My love for these small scale reproduction prints continues for not only do the background colors blend well with my stash, the designs are super cute, playful and reminiscent of childhood. 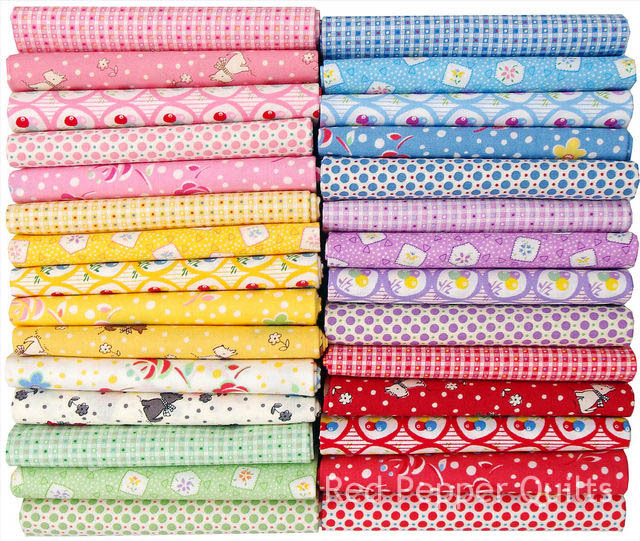 The collection features six different designs in up to to six different colors - colors we've come to associate with quilts made in the 1930's. Designs include dots, dogs, classic cherries and a floral prints which is my pick of this collection (pictured directly above). I just received my Retro 30's Child Smile a few days ago. Now the fun begins. Hope I'll be able to cut into those sweet fabrics. Oh my! I think I'll have to add some of these to my stash too. Wow, these are beautiful, I need to find them in the UK! Love these fabrics and thank you for listing various shops that are having sales. Found a 10 pack of charm squares with free shipping for $69. 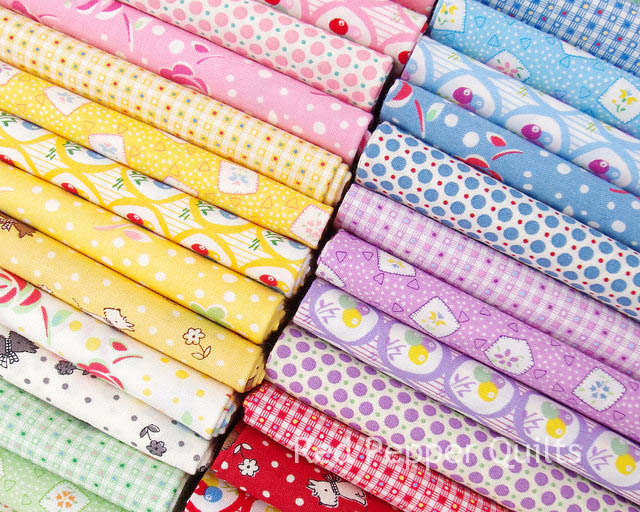 Thank you for showcasing these cute fabrics and for listing the sales available at your sponsors' shops. Love the retro feel of these! 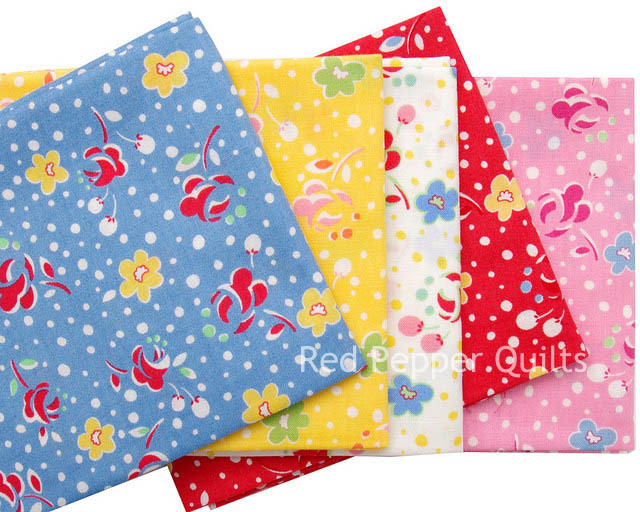 I think a patchwork table cloth would be fun in these prints! Oh gosh, they are very sweet!